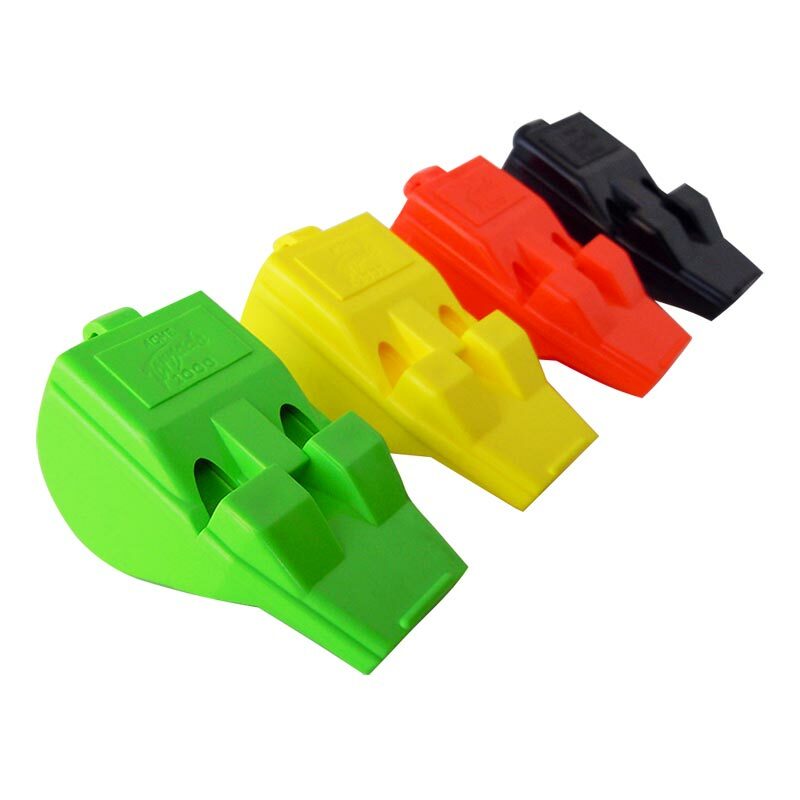 The Acme ® Tornado 2000 Whistle has two high pitch frequencies for loudness close to the whistle and a lower pitch for distance to sound simultaneously. Recommended for Referees especially in big stadiums or anywhere that real power is required. As used in FIFA Internationals, F.A. and Champions League Matches FIMBRA and FINA matches. Excellent for indoor and water sports. Approved for referees, lifeguards and basketball. Bought 14 of these to use for starting and finishing a large fishing match. Needed something that was extra loud and the sound would travel a long way. Sadly these are neitherr. They are just a very expensive 'ordinary whistle' and no better than a simple pea whistle that would cost a quarter of the price. Basically a waste of money. They also take a lot of breath to get full volume out of them so to get any kind of length of 'blow' you need a pretty impressive lung capacity. Excellent alternative to the more expensive Fox 40. Newitts service as ever was first class. Bright colours, loud blast . I find these whistles much better than ones with peas, particlarly in a swimming pool environment. Great whistle , they are the best tool for the job, I had my old one for 4 years, well worth the money, I don't use any other type/ brand, I only use the best. I was considering spending much more on a whistle but am glad I read the reviews and purchased one of these. It's an impressive bit of kit for the money and is very loud; so much that a good lung full pushed through the plastic will hurt your ears. Great value, thanks. It really is very loud. I'm a teacher and this always makes the children stop and listen. I would recommend! 5 out of 5 ACME Tornado 2000 whistle. I found this whistle ideal for recalling my Collie. It is very loud when used in anger but can be toned down for everyday use. My original was black but this time I purchased the very bright Orange - harder to lose and a Green spare for my wife to carry. Economical, built to last and very effective. 4 out of 5 Make Yourself Heard! It needs a decent blow otherwise it makes a fairly pitiful squeak, but when you do.. it's loud, just what you need when trying to attract the attention of a team of 18 year olds. A decent size, and the dayglo orange colour means it's easily found in the grass when you accidentally drop it. Recommended. This is very loud. Users are advised to consider using ear plugs for prolonged use. I can see why this advice is given, a good hard blow on the whistle (indoors admittedly I couldn't resist) made my ears ring. Does what it says on the tin. Recommended. Excellent quality whistle for the price. Very loud, clear sound and comfortable to use. Comparable to the more expensive brands. I purchased the Acme Tornado whistles for my Marine Response Teams and I am very pleased with the product, they are light weight and clearly do what it says on the package. If you want a loud effective whistle this should be your choice. What can you say, product looks and feels robust and boy is it loud. Really gets the attention of my players during training sessions I would recommend it. I was using the Fox40 whistle for many years. Friends told me about the Tornado 2000. Here in the Netherlands it is very difficult to buy the Tornado, so that's why I bought from this store. The result was amazing. A very loud signal comes from the whistle. It is a welcome 'new help' in my soccer games. Thank you for the fast delivery and nice help - for a first time customer (from the Netherlands). Great product that has a distinctive sound and no pea to rattle around - keep it safe as others will try to borrow!